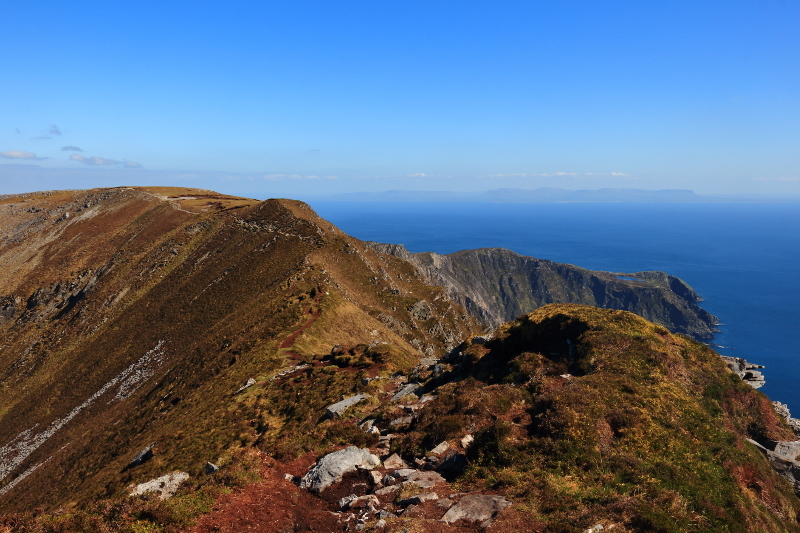 If you are thinking of climbing to the summit of Slieve League via One Man's Pass, and don't have a good head for heights, I would urge you to reconsider this route. 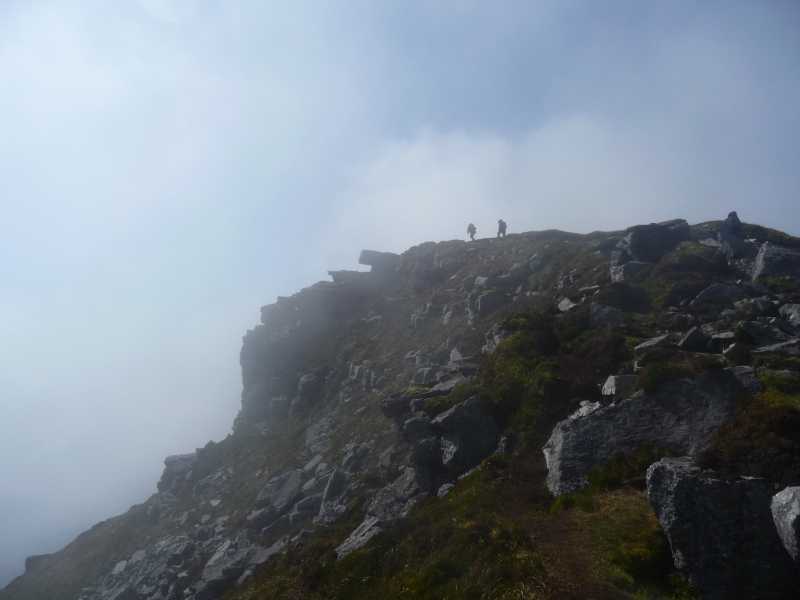 I am a reasonably experienced hill walker and have climbed nearly all of Ireland's highest mountains without difficulty. However, the first time I tried to cross this pass I bottled out on account of the wind and, more importantly, the exposure. There is a very severe drop to the sea on one side and another big potential fall onto hard rock on the other side. I did manage to cross the pass a couple of days ago with a companion who doesn't suffer from height fright and who more or less guided me towards each hand and foot hold. It was absolutely terrifying. I'm glad that I've ticked this particular box, but I won't be doing it again.